Just about to call it a day in San Marcos, Texas. It has been significant to meet so many people on this trip who have lost their jobs in the last couple of years. Most often when someone mentions that they've been laid off, others standing around chime in with their own similar stories. Definitely a lot of people who seem to take a bit of solace in sharing a common, difficult experience. Can't say that I've seen so much of that in Canada. "Hello Detroit, auto workers, let me thank you for your time. You work a 40 hour week for a living, just to send it on down the line." 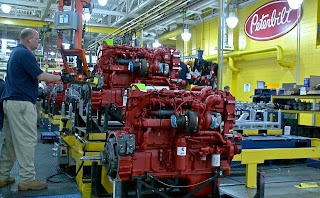 The plant can pump out as many as 150 trucks a day with two shifts going around the clock. That's when the market demands it. Right now they're building about 60 a day. One of the plant supervisors who hosted us told me that things are looking up. 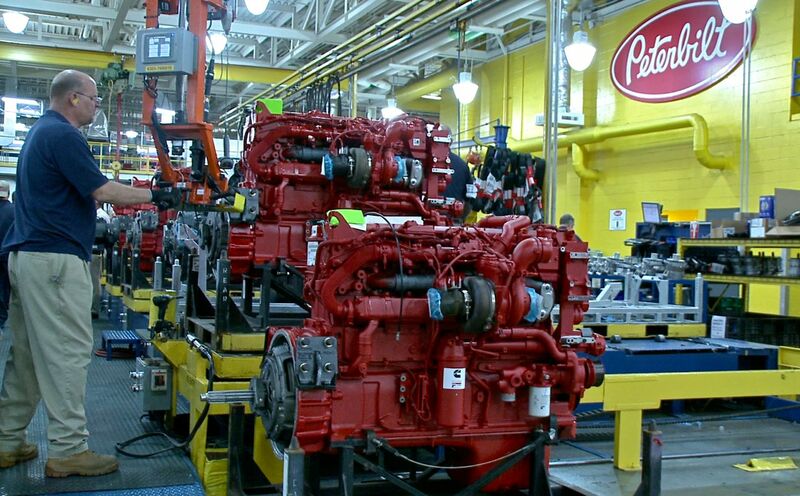 Demand for Peterbilt freight-haulers is on the rise. That's a good sign for people in Denton and likely for the people we've met all over the country who have lost their jobs. That same plant supervisor figures trucking should be one of the first sectors to feel hints of recovery. As soon as people and businesses start getting busy again, goods need to get moving. And what about the stimulus package? It turns out that Alex Debogorski is delivering it on a daily basis. Often when he poses for a picture with someone he waits to see if they're smiling as widely as they should be. If the grin doesn't cut the mustard, he gives them his tailor made "stimulus package." He tickles them. It's a sweet gesture and just about always gets people laughing, which shows up in beaming photos. Jay, Alex and I stopped in to the French Quarter diner in Temple, Texas, off I-35 for dinner. It's a little road side shack with heaps of natural character. Also really, really good grub. Afterwards the cooks and wait-staff came out of the kitchen for a group photo shoot with Alex. Eventually the cameras were turned on Jay and I. Alex gave us our first "stimulus package." It worked. Despite being uncomfortably full of road food, we laughed our heads off. And Alex assures us, and others, we won't be taxed on it. Good night. You guy and gal are great. 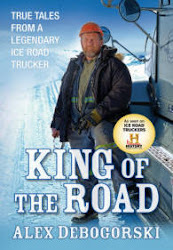 I drove otr in the lower 48 for a couple of years. The worst road I encountered were the passes in Colorado like Wolf Creek pass. I hated Black Ice and white outs. Alex, I think your family is great. God bless all of you and Keep on trucking.